Diabetes is one of the most common chronic illnesses in the Western world. In Canada, it’s estimated that 9.3% of the population has diabetes, and this number is expected to grow to 12.1% by 2025. Diabetes affects the body by either preventing its ability to produce insulin or making cells unable to properly respond to insulin. This can cause high blood sugar levels, which can result in various complications including heart disease, stroke, and kidney disease. While diabetes can’t be cured, it can be controlled and maintained with proper lifestyle habits. By eating a proper diet, exercising regularly, and regularly monitoring blood sugar levels people affected by diabetes can keep their levels in an acceptable target range. Diet is one of the most important factors when it comes to proper control of diabetes, so it’s essential to be aware of proper eating habits. Diabetics should try to eat a balanced diet of healthy carbohydrates, lean protein, unsaturated fats, and plenty of fibre. It’s always important to consult a doctor or dietitian when deciding on a meal plan and nutritional recommendations, but there are some good general guidelines to follow. It’s generally a good idea to eat 3 meals a day at regular times so that blood sugar can be controlled and kept consistent throughout the day. Maintaining a healthy weight is also helpful, as this also helps with blood sugar control. The University of Maryland Medical Center recommends that carbohydrates make up between 45-65% of total daily calories consumed. Fat should make up 25-35% of daily calories, and protein should provide another 12-20%. These figures are general guidelines, and will differ due to each patient’s different health condition and dietary needs. Diabetics should work with a dietitian to determine the right nutritional balance for them, and the foods that can help them achieve said balance. While each person may have different dietary requirements, these recommendations for what to eat are generally healthy options for anyone, and especially for diabetics. Lean Protein - Low-fat, good quality sources of protein are healthier than fattier alternatives. Good animal-based sources include fish, eggs, and skinless poultry. Low-fat or non-fat dairy products like milk and yogurt are also great sources of protein, calcium, and vitamin D. Legumes are also healthy and packed with protein. Beans, lentils, and nuts are great options that are full of nutrients. Complex Carbohydrates - Carbohydrates are the nutrient with the largest impact on blood sugar, so they’re the most important when it comes to managing diabetes. Diabetics should talk to their doctor or dietitian to determine whether they should be limiting their carbohydrate intake. Complex carbs, or starches, are healthier than refined carbs, and are found in whole grains, starchy vegetables, and legumes. Whole wheat bread, quinoa, and brown rice are examples of healthy whole grains. They are also rich in fibre, which helps control blood sugar, cholesterol, and weight. Healthy Fats - Monounsaturated and polyunsaturated fats are the healthy fats, as opposed to saturated and trans fats. Monounsaturated fats are found in oils like olive and canola oil, and foods like avocados and peanuts. Polyunsaturated fats are found in oils like soybean and corn oil, and foods like walnuts and tofu. Fruits and Vegetables - Many people get less than the recommended daily amount of vegetables, so it’s important for diabetics to ensure they’re getting enough. Green vegetables like broccoli, spinach, and kale are healthy and rich in vitamins and minerals. Starchy vegetables like parsnips, squash, and peas are also packed with nutrients as well as fibre. Fruits like apples, bananas and oranges are also rich in nutrients. Fresh fruits without added sugar are a great option to satisfy a sweet tooth in a healthy way. These foods should be avoided or consumed in moderation. Diabetics should be especially mindful of these foods, as they can cause cardiovascular risks which diabetics are already at increased risk of. Foods High in Saturated and Trans Fats - Saturated fats are found in foods like fatty red meats and dairy products, while trans fats are found in fried foods and baked goods. These fats increase risk of cardiovascular disease and obesity, so they should be avoided or consumed in moderation by diabetics. Foods High in Sodium - These foods also increase risk of cardiovascular issues, so should be avoided by diabetics in favour of low-salt options. Foods high in sodium include salted or cured meats like bacon and ham, frozen dinners like pizza, fast foods, and snacks like potato chips or salted nuts. Excess Refined Carbohydrates - Refined carbohydrates are processed grains like white rice and white pasta. The refining process removes much of the vitamins and minerals that are found in unrefined carbs like whole wheat grains. As refined carbs are less healthy and have the potential to raise blood sugar, they should be avoided or consumed in moderation by diabetics. Foods and Drinks with Excess Sugar - Sugary foods like candy, baked goods, and ice cream have the potential to drastically raise blood sugar levels. It’s a good idea to look for sugar-free options instead. Sugary drinks like juices or sodas should also be avoided in favour of healthier options. In terms of alcoholic beverages, it’s generally safe for diabetics to consume up to 2 drinks per day for women and 3 drinks per day for men. However, there are exceptions, so diabetics should talk to their doctors about any potential health risks. By working with doctors or dietitians, diabetics can establish a healthy meal plan so that blood sugar levels stay in a designated target range. Diabetics should aim for a diet rich in lean protein, complex carbs, healthy fats, and nutritious fruits and vegetables. Foods high in unhealthy fats, sodium, refined carbs, and sugar should avoided. 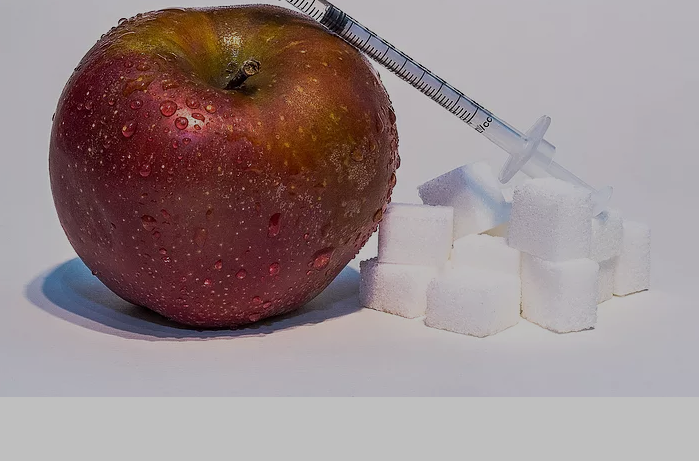 While poor management of diabetes can raise the risk of other serious health conditions, proper eating habits and lifestyle choices are extremely effective in helping to control blood sugar levels and stay healthy.